"I don't know what truth is. Truth is something unattainable. We can't think we're creating truth with a camera. But what we can do, is reveal something to viewers that allows them to discover their own truth." by Cosima Dannoritzer, Denis Delestrac and Bettina Walter. Cosima Dannoritzer is a director who specialises in history, science	and ecology, and who has worked for broadcasters in the UK, Germany	and Spain. Previous films include: RE-BUILDING BERLIN (Channel 4,	1992, Journalism Prize of the Anglo-German Society 1993), GERMANY INSIDE OUT (BBC/YLE 2001) and EL QUE LA BROSSA ENS DIU / IF RUBBISH COULD SPEAK (TVE, 2003). Her most recent documentary, THE LIGHT BULB CONSPIRACY (Article Z,	ARTE, Media 3.14, TVC and TVE, in collaboration with NRK, RTBF,	SBS-TV, TG4, TSR and YLE), about planned obsolescence and the origins	of the consumer society, has so far been sold to 21 countries and won several international awards. 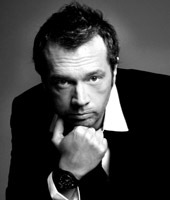 Denis Delestrac is a French journalist, writer and award-winning director. Among his social-political and cultural documentaries are: HUMAN RIGHTS, shot in Israel, Colombia and Afghanistan, a powerful documentary that analyses how armed conflicts increasingly affect civilian communities and foster displacement; THE MISSION TO EDUCATE which examines the sustainability of the nomadic Nigerian tribes’ lifestyle; and THE NOMAD SPIRIT looks at how market economy has transformed Mongolian society. More recently, Delestrac contributed to the direction and writing of the award-winning large format blockbuster MYSTERY OF THE NILE. His first feature documentary, PAX AMERICANA, was selected in major international film festivals, aired in more than 40 countries and acclaimed by the critics worldwide. His next feature-length documentary, SAND WARS, will be released in the spring of 2013. 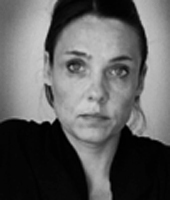 Bettina Walter is committed to producing single creative documentaries for the international market. Bettina completed a degree in Anthropology, Literature, Linguistics and Latin American Politics & Economics in Hamburg, Malaga and Buenos Aires prior to embarking on a career in documentary production. Bettina worked as head of development at various production companies in Germany and Spain, most recently at Polar Star Films. Bettina was a jury member for the TVC Television award 2007. Since 2007 she has been teaching at the University of Barcelona for the Masters Degree: History, Culture and Communication. 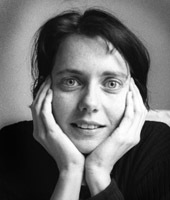 At ECIB (Escuela de Cine de Barcelona, Filmschool of Barcelona), she teaches for the Postgradute Master in Documentary. Bettina's teaching work gives her special access to emerging creative talent and compelling new projects.